My son’s class was hosting a southwest themed chili luncheon for all of the faculty and staff at his school. 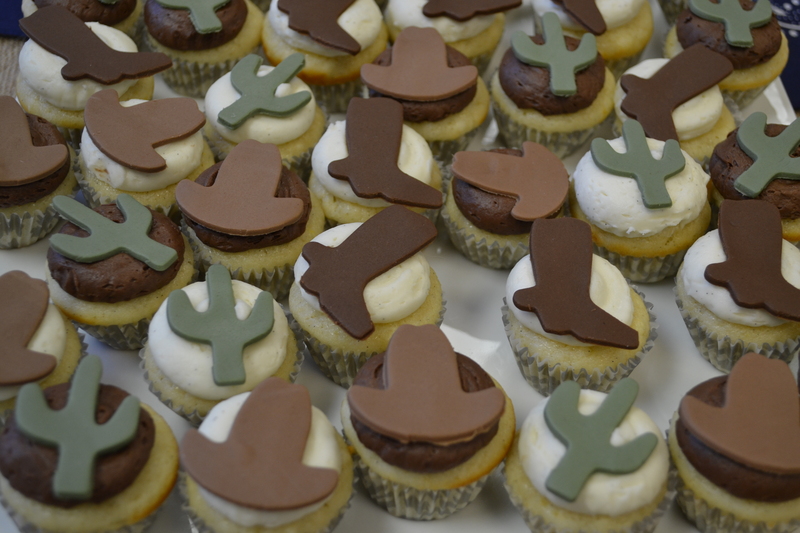 I created these cupcakes with little cacti, cowboy boots, and cowboy hats to compliment this theme. In terms of the size, I almost always recommend going with mini cupcakes. I truly feel that (especially for adults) they are much easier to eat and not as much of a commitment as a standard size cupcake.